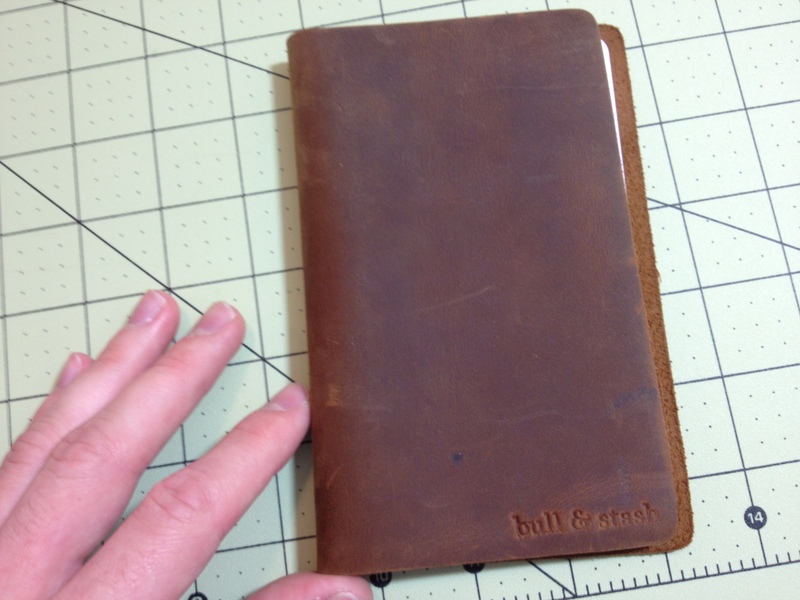 Bull & Stash was a kickstarter for a notebook company that I only found out about because my brother was excited about it. The particular product he was looking at still hasn’t entered regular production, but I figured I’d test out one and see if they were any good in general. 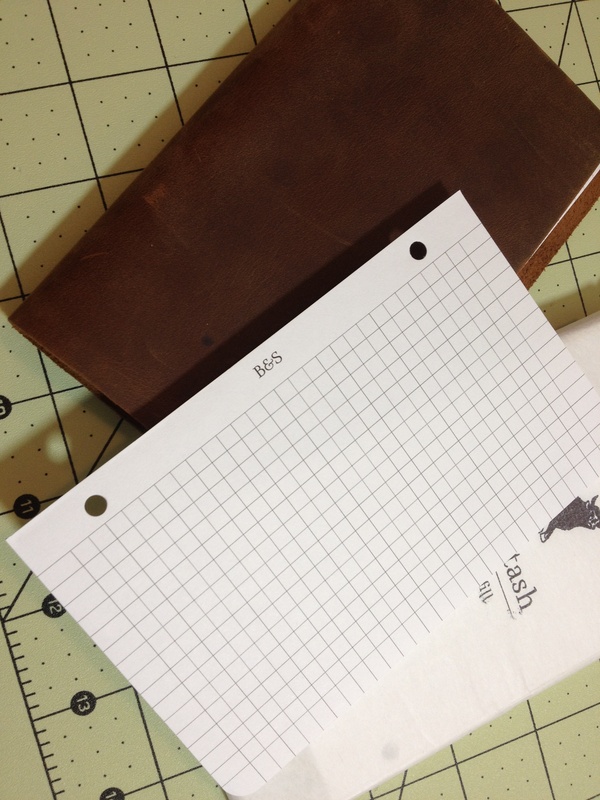 The basic idea is that the notebooks have removable pages. 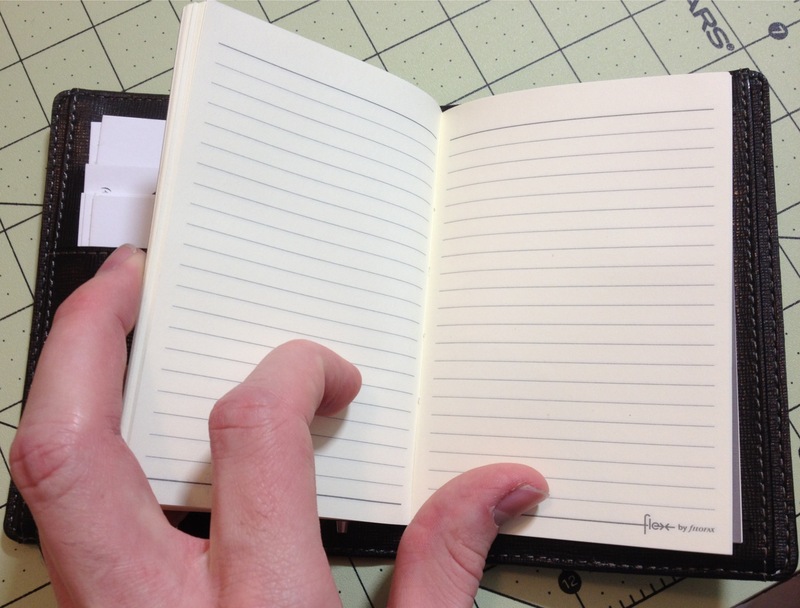 This way, different types of paper can be used, and notes can be organized after they’re written, both inside and outside the notebook. 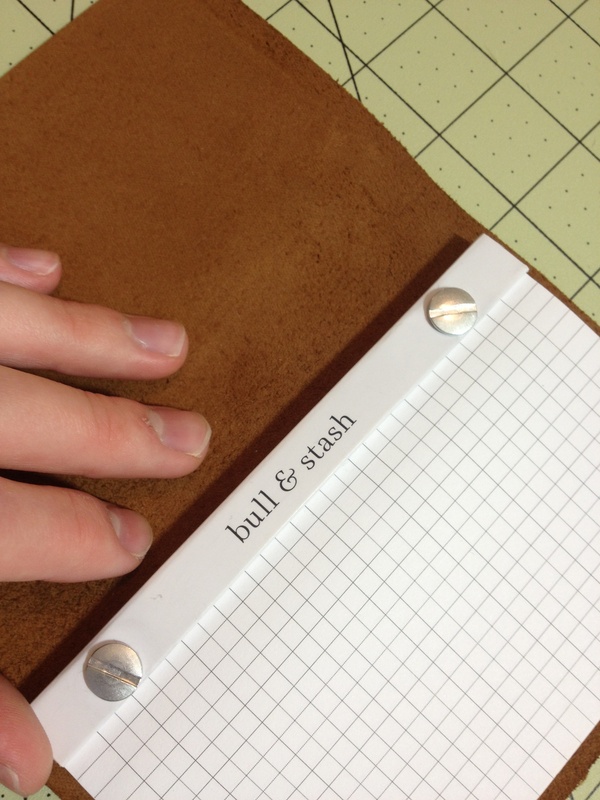 This is accomplished by having two posts on the back of the notebook that have removable screws to allow paper to be put in an out. 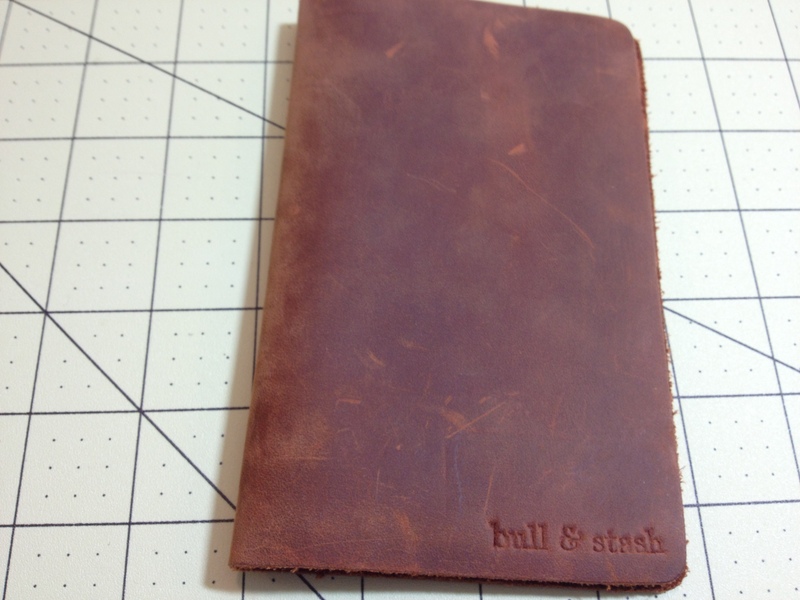 The cover is a simple slab of supple leather with two holes in the back, and a logo stamped on the front. I’ve seen some complaints that the logo is stamped unevenly, and while it is on mine this doesn’t bother me. The cover did have an unsightly curl when I first received it (the back and front didn’t match up) but this has gone away with use. On the inside, the hardware is simple, and it screws down a flimsy cardboard piece with a place for basic lost and found information. Inside this is the paper. Around 40-45 pages can fit in at a time, but I’d recommend fewer. 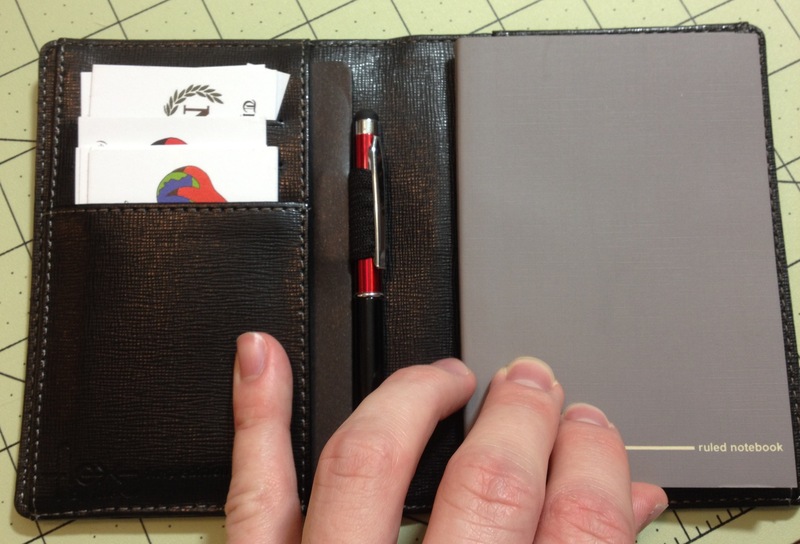 The cardboard and leather cover do provide enough stability to write on in most situations, but I wouldn’t be taking long notes or more than a few without a stable writing surface. The cardboard is also prone to bending, decreasing the stability over time. The paper is all right. It is fairly bleed resistant, but prone to feathering inks. The graph and lined refills are only printed on one side, which is fine by me because I only use one, but others might find it annoying. It would be difficult to use both sides in this book, though, because the hardware makes flipping through pages difficult. I’d remove the first few pages regularly to prevent them from being destroyed, and I can say that writing on the back of a page is almost impossible. The hardware also cramps the writing space. If things were a little smaller I’d be more happy. In the end, it’s a solid first attempt. It seems more like a portfolio builder, though, and I don’t know how supported the books will be. There are little inconsistencies and design problems that make me shy away from recommending the books. It’s not worth the current asking price to me if the cardboard and stamp quality aren’t fixed. 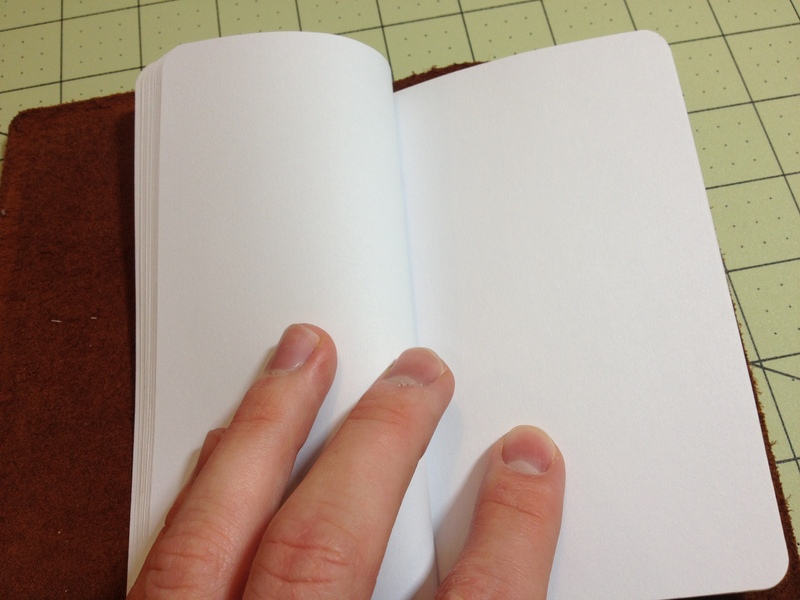 And the edges of the notebook aren’t finished very well, leading to a very strange appearance. 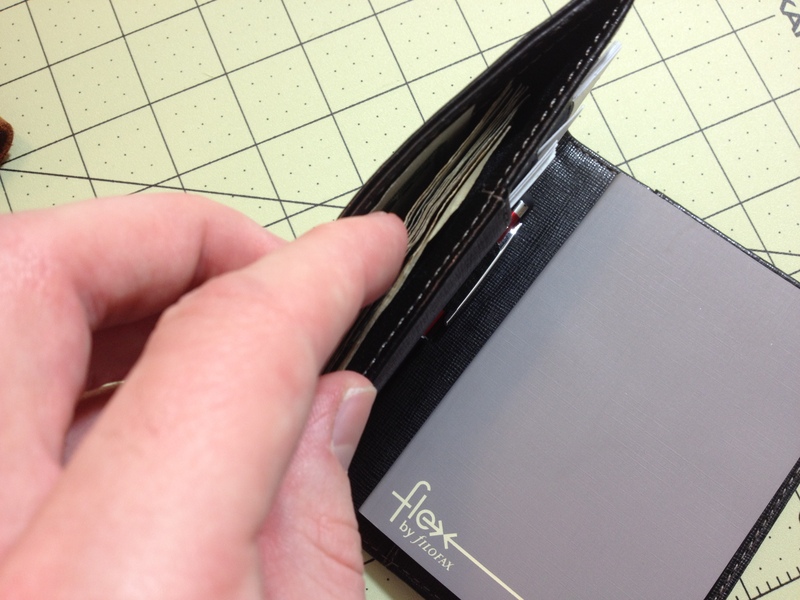 It definitely will last a long time: the leather and steel hardware aren’t going anywhere. But it just seems like the designers dropped the ball a little bit. 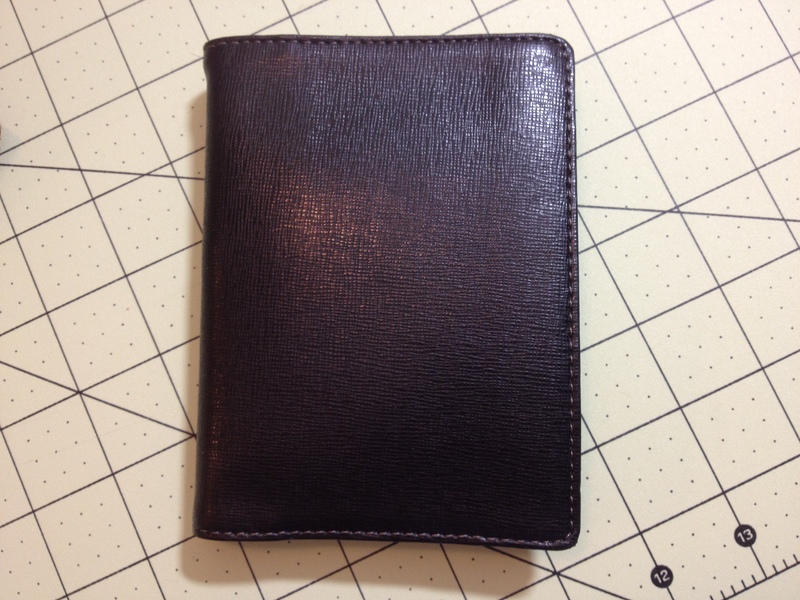 It’s almost too simple and feels like it’s slapped together from existing items. Maybe my problems with the hardware are solved in the larger version, but I doubt it. Until a more usable and better finished version is released, I’d hold off.